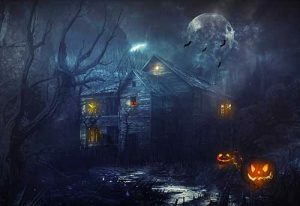 Holy Halloween - Being Made Holy – GetAlongWithGod.comGetAlongWithGod | A blog about discovering a God worth knowing. When the Spirit had me digging deeper into the nature of holiness, I came across the word “hagiazó,” meaning to make holy (see Strong’s NT #37). In Strong’s expansion of the meaning of “hagiazó,” I saw this definition: to separate from things profane and dedicate to God, to consecrate and so render inviolable. It’s that last part that completely floors me! And considering that today is Halloween, I want to explore this particular, new-to-me aspect of holiness. 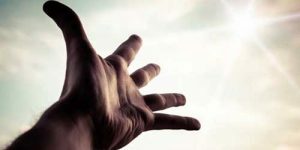 God is working to consecrate us, to make us wholly His, thus rendering us inviolable – “secure from assault or trespass, unassailable.” Inviolable. Can you imagine?! That’s the dream, isn’t it? Humanity is constantly searching for this very thing, and here it is, an integral result of being made holy. It’s especially interesting in light of today’s celebration of all the things that go bump in the night—monsters and creatures and mysteries, oh my! I can’t think of a single monster/witch/creature myth that features an unassailable bogeyman. They’re ALL assailable. I used to think that that’s because an inviolable evil would make for a pretty uninteresting story, but I wonder now if it’s not more of a truth-in-the-myth situation. There’s only one inviolable nature in the universe, and it isn’t evil. The more God frees me from the profane (any obstacle to Him), the closer to inviolable I get. This verse is awfully sobering, and sometimes pretty hard to take. I’m not going to delve too deeply here, but this is, I think, no small part of the work of consecration. Invitations to evil have to be revoked so the door will actually shut (vampires). I have to stop digging up places that don’t belong to me (mummies) and hanging out in Life-less cemeteries (zombies). And in all seriousness, if my kitchen cupboard ever flies open and pancakes my face with the good plates that my Aunt Leenie gave me while a terrifying voice intones, “GET OUT,” I will pick the shards of glass out of my forehead, walk out the door and go find Jesus. See, God is cleaning us out and claiming us. We are being made holy, consecrated. He is setting us apart for Himself alone. The result of our being owned by God, body and soul, is a nature that is less and less assailable. It’s His own nature, dwelling in and shining out, utterly unhindered. What can man (or monsters) do to Him? Nothing. Jesus Christ is inviolable. I’m finally beginning to get it. Being made holy is the heart of my relationship with the Lord, but this life really isn’t about the things I thought it was. I have been saved, yes, but it’s not about salvation. I’ve been protected, but it’s not about refuge. I’ve been healed, but it’s not about good health. It’s about Jesus Christ having a consecrated, inviolable vessel in which He can love as the Father loves and do as the Father does. The first sentence of your blog caught my eye when I saw the word “hagiazó” since I recently preached a sermon series on “being set apart”, but somehow the idea of INVIOLABLE eluded me. WOW! This line was the kicker, Jen: “The more God frees me from the profane (any obstacle to Him), the closer to inviolable I get.” Thank you for blessing us with HOLINESS AND TRUTH on this Halloween. (my least favorite day of the year). Thank you. I can relate to you easier now. Your words have great meaning for this end-time generation. He wants a vessel He can flow through…. Yes. I love your gropings and searchings Jen. I love your questions and revelations of our Lord. But you are really improving your communications. You are giving more definitions and discoveries from the Lord. I love the way you connect with Him. There is a hint of “last days” in these words, and a cry for ready-ness and preparation, and it has to do with the inner preparation and consacration of Jesus in you. And I thank you today for your listening… and your sharing. This is one of the most concise, God-focused exhortation of the ‘holiday’. HIS message to us; it resonates within me. Blessings to you, Jen. Yes Jennifer, it’s about Jesus Christ! In Him we live and move and have our being. I enjoyed reading your analogies.